I have to start out by saying that I have downloaded a new web browser - that is, new to me - and it is working much better with blogging and email. With Windows Explorer I kept getting worrisome messages when I tried to access my blog; and none of the links in my email were working. So I am now using Firefox on my PC with none of those annoying problems. I made this card to give to the Cardologists, Thursday. 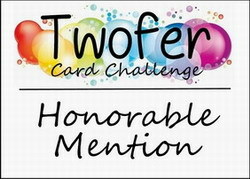 Usually I want to wait to post a card after they get it, but I am trying to make the deadline for Muse Challenge 125 where I took inspiration from this week's muse, Anita Bowden. 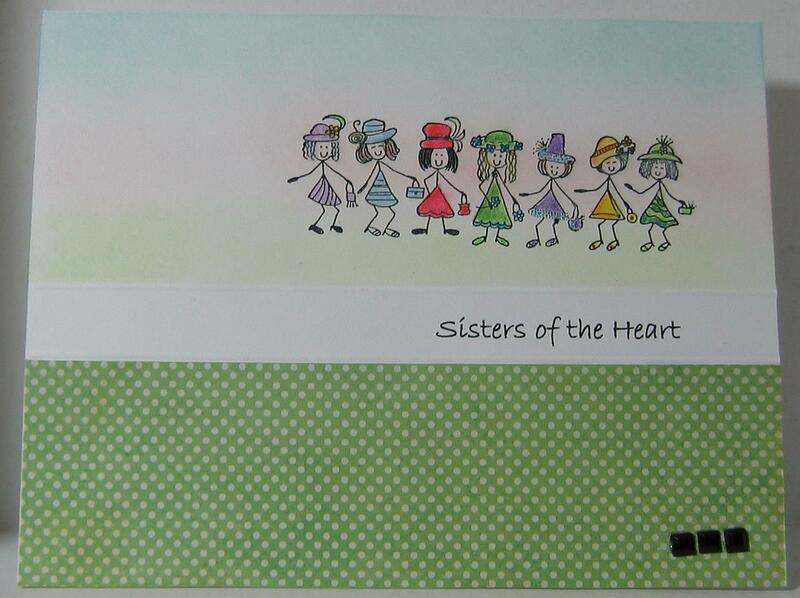 Here is her lovely friendship card. My card is turned but with the fold still at the top. I also created a strip for the sentiment by scoring above and below it. I brought in the pastel colors (the camera really accentuates the pink I used, I think it is neon!) and also used dotted paper below the sentiment. Believe me, now that I see the squares I added for embellishment are sliding out of kilter, I have to go straighten them out. 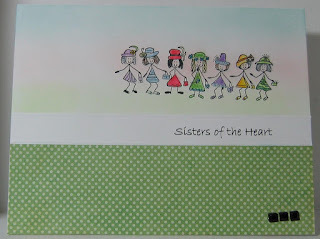 I am using the Vippie stamp Ladies en Vogue to represent my friends, my sisters of the heart. With all the friendship stamps available, I cheated and used the computer for the exact saying I wanted. Now I leave you with this saying I adapt for my own: Sisters aren't always blood. Its the women in your life who want you in theirs. The ones who accept you for who you are. The ones who would do anything to see you smile, and who love you no matter what. 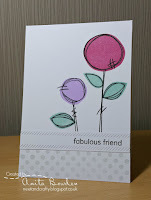 What a fantastic friendship card - that is such a fun little image! So glad you joined us at Muse this week! (I use Google Chrome and have no problems). Your sweet card warms my heart! Such an adorable take on the Muse! The pastel colors behind the sisters are so pretty! Also love the saying - so true! 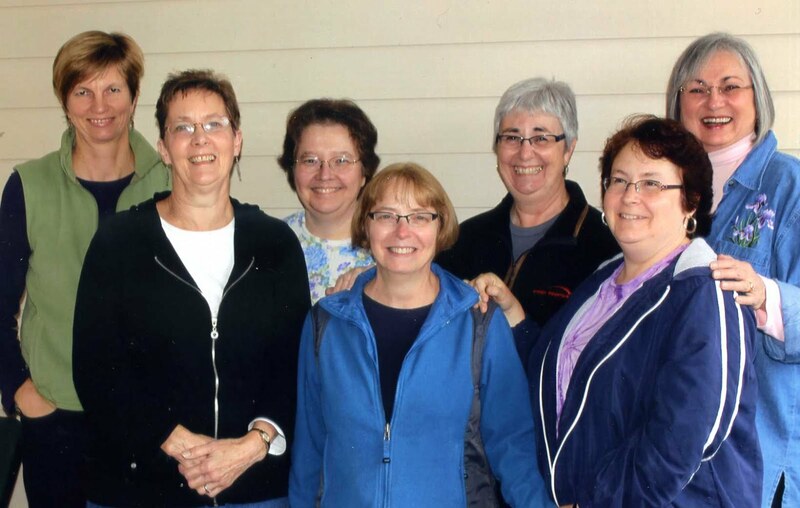 What a beautiful friendship you must have with your "sisters of the heart". So cute. They'll love it. 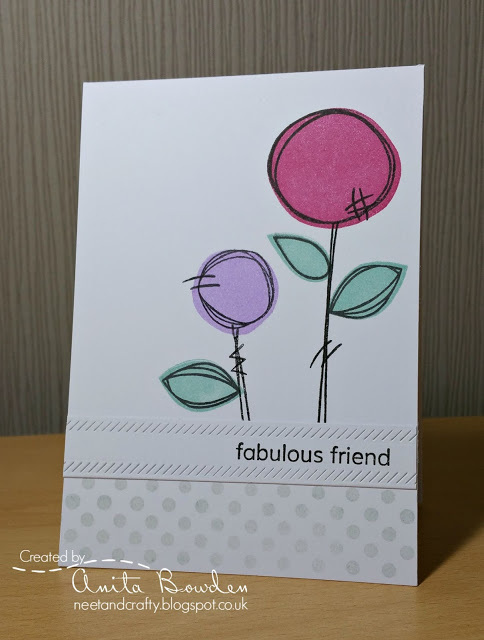 I love the way you've used the layout of my card to create something completely different. Great blending behind your cute little images.